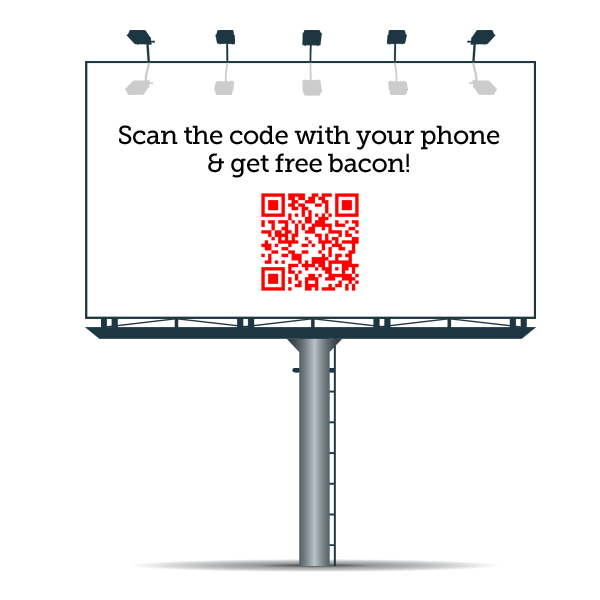 A ridiculous commuter QR Code like this will cure you of your addiction to bacon. 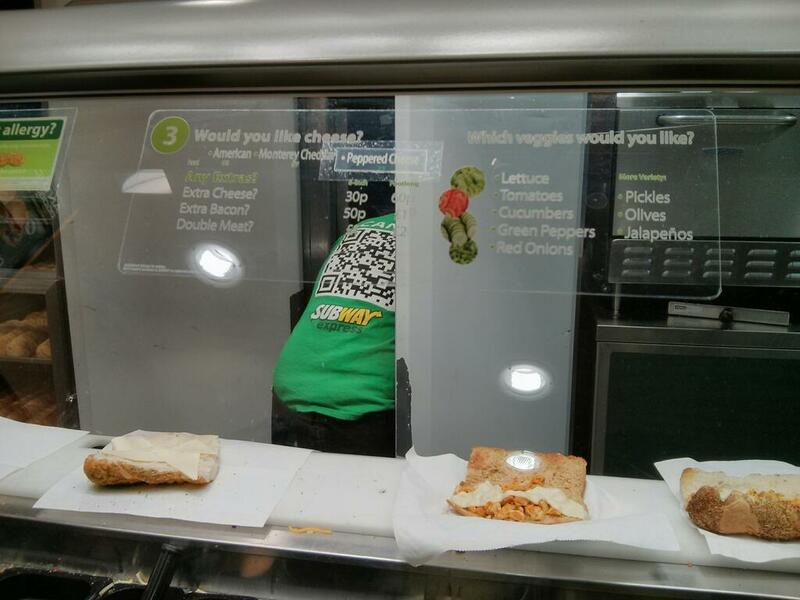 Care for an icy cold QR Code with that sandwich? We really do love sharing stories about pushing boundaries with QR Codes. Check this: In Hong Kong a group of independent fashion designers depend on QR Codes to facilitate a truly unique collaboration. The shopping referral platform, Shop Elsewhere, is a curated database of complimentary fashion items. With a teaser tag that reads, “If you like this, you may also like…” the QR Code resolves to a personal stylist-like build-up of accessories and items which would “work” with the selected item. Each item has a series of recommendations complete with a map of how to get to the highlighted boutiques. It’s a clever way for small independents to build networks, bring customers in, and compete with the big boys. Tourists in Gibraltar and Wales, Portugal and Rio de Janeiro are using QR Codes to learn more about their travel destination. Cities are embedding QR Codes into the pavement to send curious tourists to more information about the beaches, monuments, history, and interesting neighborhoods they visit. These public space QR Codes are getting people clicking and learning. Mercedes Benz owners can feel safer now that QR Codes are now available to emergency workers to access rescue sheets, showing the best way to get occupants out of a crashed vehicle safely. First responders will be able to bring up the rescue map for that particular vehicle. Construction equipment rental company Nationwide has placed QR Code stickers to remind operators of correct safety procedures as well as a link to emergency guidelines for each distinct model or group of equipment models. But our favorite use for QR Codes resides at the intersection of Cool Technology Avenue and Beer Lane. A pub we heard about in London is accepting virtual currency as payment. With a swipe of a QR Code you’re good to go with Bitcoin payment option. Bitcoin is that form of tender which is bought and sold on a peer-to-peer network independent of any central control. It’s a bit clunky, but users can access their account via QR Codes. Cheers!